Guest: Dr. Pete Worden; Topics: Breakthrough Initiative, Breakthrough Prize Organization, Starshot, interstellar flight and much more. Please direct all comments and questions regarding specific Space Show programs & guest(s) to the Space Show blog which is part of archived program on our website, www.thespaceshow.com. Comments and questions should be relevant to the specific Space Show program. Written Transcripts of Space Show programs are a violation of our copyright and are not permitted without prior written consent, even if for your own use. We do not permit the commercial use of Space Show programs or any part thereof, nor do we permit editing, YouTube clips, or clips placed on other private channels & websites. Space Show programs can be quoted, but the quote must be cited or referenced using the proper citation format. Contact The Space Show for further information. In addition, please remember that your Amazon purchases can help support The Space Show/OGLF. See www.onegiantleapfoundation.org/amazon.htm. 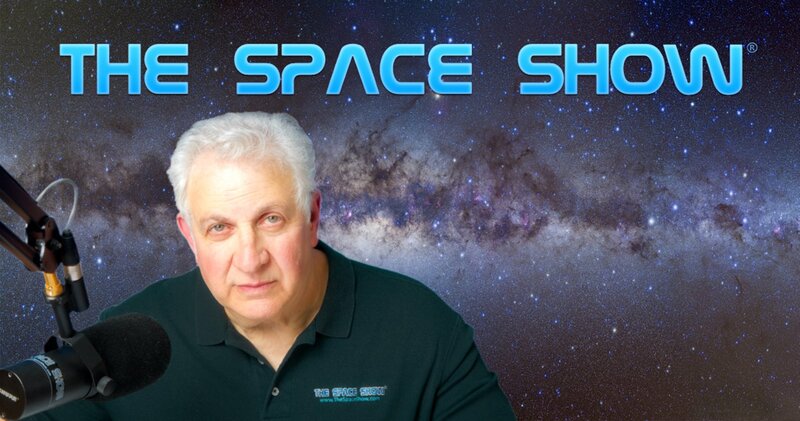 We welcomed Dr. Pete Worden back to the show to discuss the Breakthrough Initiative, the Breakthrough Prize Organization, interstellar flight possibilities, Project Starshot, SETI, Berkeley SETI, human interstellar flight and much more. You can learn about the Breakthrough projects at https://breakthroughinitiatives.org. Dr. Worden discussed all the projects including Listen, Watch, Starshot, and Message. You can check each of the projects out by clicking on them at the above website. We spent most of our time talking about Listen, Watch, and Starshot. In addition, Dr. Worden talked about Breakthrough Prize. To find out more visit https://breakthroughprize.org. Here, Pete talked about the prize and work in fundamental physics, life sciences, and math, plus he talked about prizes and initiatives with students. Don’t miss what he said about the Breakthrough prizes as you might be pleasantly surprised by what you hear. Many other topics came up in our discussion including NASA, commercial space, the position of NASA Administrator and much more. Listeners note that this program was originally archived on August 29, 2017, the morning after the live broadcast. Somehow the program disappeared from our archives. I discovered this fact the evening of Sept. 11 as a result of an email from a listener. I do not know when it disappeared or why but I have recreated the summary as best as I can remember and freshly uploaded the mp3 file and set it to podcast once again. Please report any problems to me by email at drspace@thespaceshow.com. Please post your comments/questions on The Space Show blog. If you want to reach Dr. Worden, you can do so through me or the Breakthrough websites.